A pineapple is one of the most nutritious fruits we have. 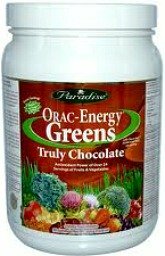 It is loaded with nutrients that our body needs, including vitamins C, B1, and B6. It is also rich in manganese, pantothenic acid, folate, and dietary fiber. Although there is no question as to the immense health benefits of pineapples, too much consumption of this crowned fruit may cause undesirable side effects. It’s still much better to eat in moderation. If you happen to be one of those who just can’t resist this prickly yet unbelievably affordable juicy fruit, then you should know the side effects of eating pineapples. Here are seven of them. This is probably one of the most common side effects of pineapples, considering that this fruit becomes very sweet. A cup of pineapple can contain up to 16 grams of sugar. If you eat two cups, you’d have finished almost an entire can of Coke with the amount of sugar you’d consume. Eating sugar can easily elevate your blood sugar levels, causing headaches and increased thirst. Possibly caused by the tremendous amounts of sugar contained in them, pineapples are also known to cause toothaches here and there. If it isn’t causing you to have cavities, it’s definitely making your teeth remarkably desensitized. Pineapples are citrus fruits, which means they are highly acidic. These acids are known to affect the enamel of your teeth, causing painful tooth decays. There’s nothing wrong with eating pineapples, but it is advisable to consume the fruit in adequate amounts. Aside from affecting your teeth, pineapples can also cause swelling in and around your mouth area. After eating pineapples, you might notice a tingling sensation in your mouth. Unfortunately, that tingling sensation is nothing but your mouth reacting to the meat-tenderizing properties of pineapples. Your lips and tongue are probably swelling at this point, and your cheeks have probably jutted out just a tad. This is expected to resolve itself unless you just continuously decide to eat more and more pineapples. If at any point of your pineapple-eating escapade, you experience any symptoms resembling that of rash, hives, irritation, or itching, you’re probably experiencing an allergic reaction. Pineapples have been known to cause allergic reactions in some people. This side effect can go anywhere from mild to serious, and you’ll know how bad it is in just a matter of seconds after consumption. If you suddenly have difficulty breathing after ingesting any small amount of pineapple, you are more than likely experiencing anaphylactic shock. This is a serious medical situation that needs attention from professionals right away. The reactions pineapples can induce do not stop with allergies. They can also interact with any or some medications you might already be taking. Pineapples are rich in bromelain, an enzyme that is generally medically helpful for the body. It helps digest proteins and also can increase the number of antibodies absorbed by the body. However, the same bromelain can be dangerous when combined with antibiotics, anticoagulants, blood thinners, insomnia drugs, antidepressants, and a few others. The side effects can be anywhere from your medications not working for you completely to bleeding out from a small cut. Alcohol can also interact with bromelain, so try not to consume too many glasses of pineapple juice and coconut rum all at once. For pregnant women, eating pineapples can pose a threat that’s more serious than anything else. Uterine contractions, which some women experience during their menstrual period, may also affect expectant mothers. The contractions can cause harm to the fetus and can lead to miscarriage. This is how eating too many pineapples may cause. And while you may crave a bite or two while pregnant, waiting to eat pineapples until after the baby comes may be the best thing to do. Consumption of unripe pineapples and its juices can also cause complications. These complications can be related to ingestion of excessive bromelain. Some of these severe health issues are extreme diarrhea and vomiting. Dehydration is the imminent danger when diarrhea and vomiting occurs, and it’s a serious matter. Other problems, which may not be as dangerous but can be a nuisance, include an excessive menstrual bleeding due to uterine contractions and nausea. Learn everything you need to know about heart healthy diet and find the right one for you. Implement few simple tips for immediate benefits. Heart healthy foods can improve cardiovascular system function. Foods good for the heart are bursting with vitamins, minerals and rejuvenating phytochemicals. 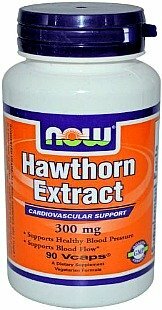 You have heard for hawthorn and garlic but there are few other herbs for the heart which can help in treating heart disease, naturally. 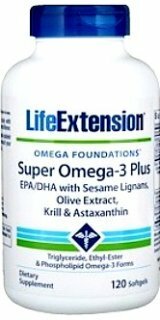 Besides fish oil, there are several heart health supplements which can be useful. This includes Coenzyme Q10, Salicin, vitamin D3 and few others. Although there are many heart healthy spices out there, each of them can help prevent and treat heart disease in its own way, thanks to different types of flavonoids in these heart spices. Stress and heart disease are closely related. In order to decrease the risk of heart problems, we have to learn how to handle the stress and treat its consequences, if we are unable to avoid it. Cardio exercises are vital part of natural heart disease treatment. However, which kind of heart exercise you should preform, varies from person to person. Good vs bad cholesterol conflict is somewhat misunderstood. There is no good or bad cholesterol but only high or unbalanced cholesterol. What is the real truth when it comes to good fats vs bad fats? How much dietary fats should you consume daily and what are the best food sources of healthy fats? High blood pressure remedies range from tips and lifestyle modification to herbs and supplements. However, the method that works for someone else, may not work for you. Normal heart rate varies from person to person. Although, age affects resting heart rate, there are many other factors that can raise or decrease heart rate. How to lose fat is surely one of the most intriguing questions for so many people. However, the answer is very simple. Eat healthy foods, perform fat burning exercises and take care of your hormones. Don't neglect hormones and heart disease connection. If you want to treat or prevent heart disease you have to balance your hormones. Heart disease and immune system connection is often overlooked, while trying to improve cardiovascular system function. However, there are several things you can do to change this. Dental health heart disease connection is one of three overlooked factors, along with hormones and immune system. However, with smart and effective approach we can change this. There are many causes of heart disease and factors that can increase or decrease your risk for developing heart related problems. Check how to turn the tide in your favour. There are few main symptoms of heart disease. Find out which are they, how to recognize them as well as my personal experience with some of them. Accurate diagnosis of heart disease is the first step toward recovery. You can't start with treatment before you know what kind of disease you have, obviously. Standard treatment for heart disease consists of surgeries, medications and devices. Which one is right for you, depends on your condition. This is a blog about natural remedies, personal stories, helpful herbs and supplements, workout program as well as other tips and facts which may help people faced with heart disease. Ask questions and leave comments about this site here. About the author of Heart-health-guide.com website. This is sitemap of Heart Health Guide.com. If you want to get better overview of informations on this website, you can get it here. Copyright © - Heart Health Guide - All Rights Reserved.